In July 2015, the National Police Chiefs Council published new guidance on operations targeting anti-fracking protests. 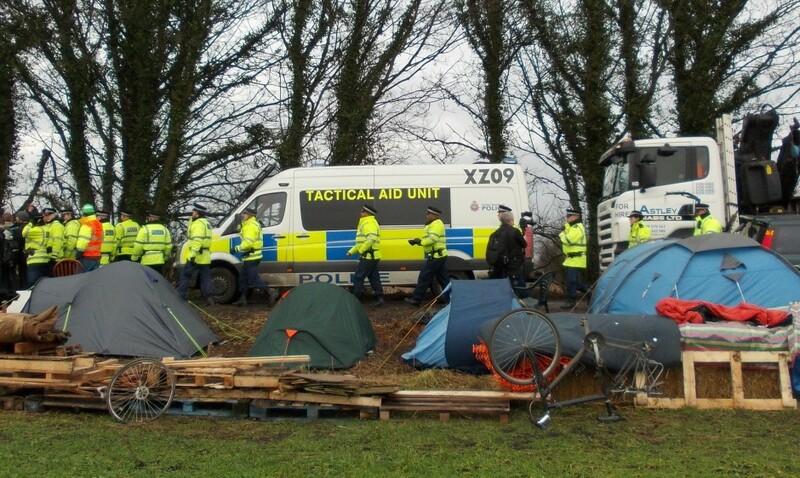 In response, Netpol produced a detailed briefing raising eighteen questions about the scale and tactics of policing operations and the necessity of undertaking significant intelligence-gathering targeting opponents of fracking. Now, nearly a year on, we have finally received a reply from Norfolk Assistant Chief Constable (ACC) Sarah Hamlin, of the NPCC’s National Protest Working Group. In the first of four posts examining what her answers tell us about police attitudes to the policing of protest, we look at intelligence-gathering and the labelling of protesters as ‘extremists’. It is clear from last year guidance that sophisticated and advanced intelligence-gathering is seen as central to the police’s planning for anti-fracking protests. This includes the collection of personal information of a large number of people and tools to build profiles on potential ‘targets’. Alongside local and regional intelligence, the national unit concerned with so-called ‘domestic extremism’, which was recently renamed the National Counter Terrorism Police Operations Centre (NCTPOC) and is responsible for the deployment of undercover officers in protest movements, clearly plays an influential role in preparations for policing local opposition to fracking. One significant concern we raised in 2015 was why such extensive operations are necessary or proportionate, when protests against fracking are often relatively small, overwhelmingly local and has involved no more than minor criminality. In spite of this, last year’s guidance insisted such protests required “the most comprehensive assessment of threat and risk” – presumably not only of disorder but also of disruption to the oil and gas industry. It was rather less concerned with addressing or preventing threats to rights to assemble and the right to freedom of expression. The NPCC still appears unable to understand why this balance matters. Its talks about “facilitation of lawful protest” but repeatedly avoids offering specific direction or even recommending good practice. Instead, it reiterates again and again that local operational commanders are trained and able to make decisions in public order situations – including on the controversial use of undercover surveillance. Unfortunately, these local commanders will continue to make their decisions with guidelines couched in the negative language of ‘threat’ and ‘risk’ and the sweeping assertion that “those who commit crimes have no legitimate place in an otherwise lawful protest”. In our view, this provides considerable scope to interpret whether protest is ‘lawful’ in the most rigid terms and risks an aggressive response to even the most minor forms of civil disobedience. As protesters discovered at Horse Hill in Surrey, this meant a senior officer rejecting the lawfulness of their camp because they failed to seek prior notification. 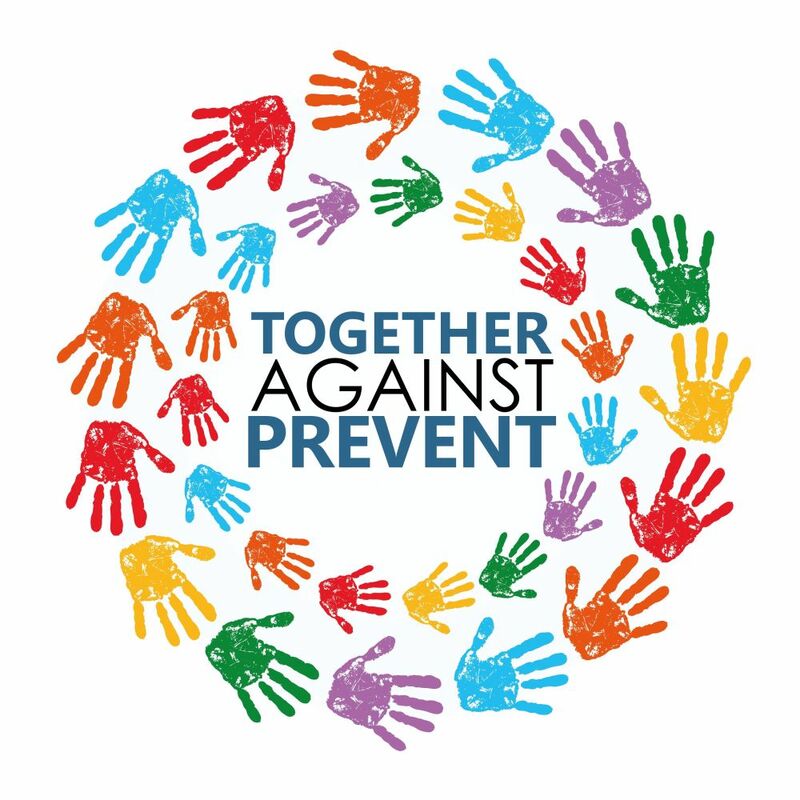 The NPCC continues to assert dedicated counter-terrorism officers are necessary to “better understand events” and to “help prevent lawful protest being undermined”. Undermined, however, by whom? The implication is by ‘extremist’ outsiders or at the very least, “those who commit crimes”. “Individuals or groups whose activities go outside the normal democratic process and engage in crime and disorder to further their campaigns”. We disagree that this is fair, or even workable. Does this mean anyone causing any disruption or interference to others by, for example, temporarily blocking a road? Could “outside the normal democratic process” mean setting up a protest camp? Who decides the boundaries to ‘the democratic process’? The NPCC does not say. Challenged on another crude distinction, between ‘protest’ and ‘activism’ (identified last year as ‘criminality’), ACC Hamlin says it is unnecessary to offer any further explanation. Nevertheless, the NPCC still apparently believes anti-fracking protests require the kind of intensive intelligence-gathering normally associated with major crime or terrorism. It is hardly surprising, therefore, that operational commanders at force level will feel encouraged by the NPCC to adopt a zero-tolerance approach to arrests for any disruption. This is in spite of the significant numbers of those arrested at anti-fracking protests who are never charged with any offence or who are later acquitted in court, well beyond the normal levels for public order arrests. It is important we also remember exactly what the National Counter Terrorism Police Operations Centre is: the latest name for the unit that from 1999 ran undercover officers against a wide range of political dissent and is now the subject of the three-year long independent public inquiry into their many abuses. It is therefore particularly alarming that ACC Hamlin has definitively refused to rule out the deployment of undercover officers, insisting “any tactic, including covert tactics, is for the policing commander for the operation”. What we do know, however, is that NCTPOC officers will report back “any incidents of note or speakers”, indicating that anyone taking a public role in a campaign as an “organiser”, or who has had a history of involvement in direct action, may have become targeted for further surveillance or attention from an undercover officer. This is exactly the kind of issue where national guidance should provide clear direction to ensure decisions are based on the positive duty to protect the right to assembly and not simply on the mere possibility of disorder. Our worry is that this is how protest movements like the nationwide network of local groups opposed to fracking have their rights gradually undermined. Sustained, conspicuous and often highly intrusive intelligence-gathering, coupled with the threat of covert infiltration and an unfounded association with serious criminality, starts to chip away at support and participation. This in turn has a disruptive impact on the effectiveness of campaign groups and their activities, all because of unwarranted police attention. Netpol firmly believes there is no place for the involvement of counter-terrorism officers in targeting anti-fracking campaigners and, more broadly, that the National Counter Terrorism Police Operations Centre should have no role whatsoever in targeting legitimate political dissent. Gathering information by routinely filming or photographing individuals, targeting surveillance at prominent campaigners and searching and documenting their online discussions on social media is more hostile and divisive to the “normal democratic process” than any alleged ‘extremist threat’ and is wholly disproportionate. Most importantly, we reiterate our call for the NPCC to give a firm commitment against the deployment of undercover officers at any time at anti-fracking protests – protest is neither extremism or terrorism and should never face this kind of aggressive tactic. Our next post will look at the use of photography and body worn video cameras by the police at anti-fracking protests. Well at least now we know they’re lying when they say they are too over-stretched to come to your house when you’ve been burgled. And WTF are my taxes being wasted on paying for police protection of private companies who want to poison our country?